A Buffalo chemical distribution company received approval this week to build a materials storage facility next to its main operation in the Babcock neighborhood. 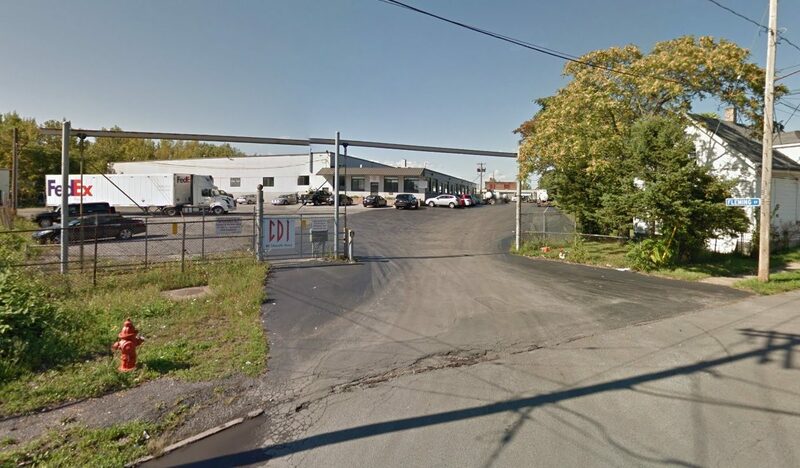 The Buffalo Planning Board backed a proposal by Chemical Distributors to erect a 12,000-square-foot light industrial warehouse at 46 Metcalfe St., on the upper east corner of a six-acre parcel near the intersection of Clinton Street and Fillmore Avenue. It would be similar to other existing storage buildings on the site. The $1 million chemical facility would include two loading docks and 2,000 square feet of covered outdoor storage on what is currently a 0.85-acre paved truck parking area. A bioretention and stormwater basin is also planned, but officials stressed in their application to the city that no chemical processing is planned for the pre-engineered steel-panel building. The project also includes new landscaping and lighting. Construction by the Allen Group would begin in May and finish by October. "This is the last piece of the puzzle," said CDI President Mark Russell. "We wish we could put up a bigger one, but we just don't have the room for it." CDI operates from an 82,000-square-foot facility and delivers industrial, high-purity, food-grade and kosher chemicals to customers in the eastern half of the country. It also provides custom blending of chemicals. The company, which added an 18,000-square-foot warehouse in January 2017, maintains multiple tractors, trucks, tankers, heated trailers, standard trailers and storage tanks for various inorganic industrial chemicals. Convert a former bank into a banquet center, arcade and indoor hall for youth at 2008 Genesee St.
Open the Parkside Tavern at 1125 Tonawanda St., across the street from Riverside Park. The building includes two apartments upstairs. Relocate the 10-year-old BC Automotive car repair shop from Hertel Avenue to 14 Knox St. Convert a first-floor storage space at 1469 Niagara St. into an 80-seat restaurant and bar, near the Crescendo Lofts building.